There was once a moment in our lives when we scoured the job market looking for the jobs or work where we know we can use our skills and assets and, perhaps, acquire more in the course of the work. Although we all have different dream jobs, employers have more or less the same methods in hiring their prospective applicants. Interviews, demonstrations, complying of necessary papers or documents, these are some of the ways, companies use in looking for their prospective employees. 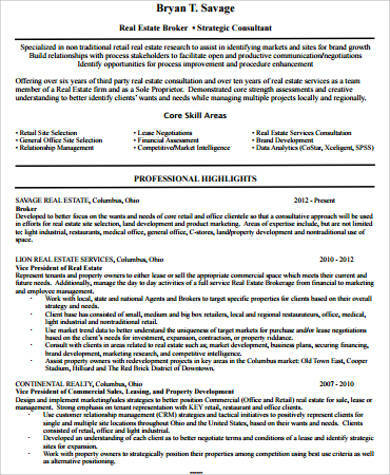 If you are currently in the look out for work, below are Sample Resumes you should really check out. Contact details – both your digits, telephone, cellphone, and email address. 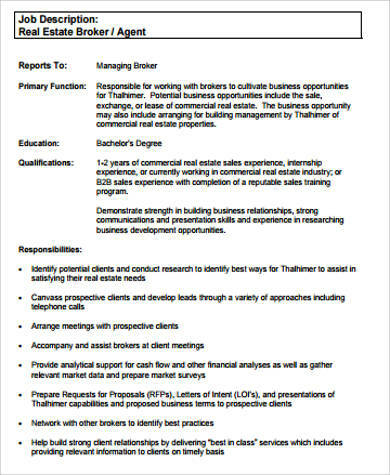 This part is important since if you get the job, they are going to reach you through your contact details. 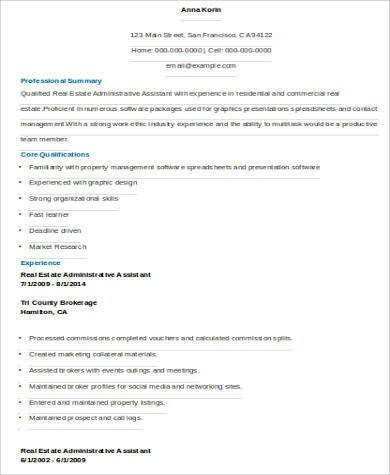 Professional experience – this part is an enumeration of the position you have had before. Aside from the post you held, you also need to write the name of the company and the period of time you worked there. Educational attainment – this is the part where you write all institutions you have attended. Skills and accomplishments – you have to be aware of the qualities your prospective company are looking for. You can put your skills and merits you think will make you fit for the job. You should be knowledgeable in terms of the property’s location. You should have an idea on what kind of neighborhood the property or house you are selling belongs to. You should also have at least an experience of successfully selling a property in the area. Good attention to detail. 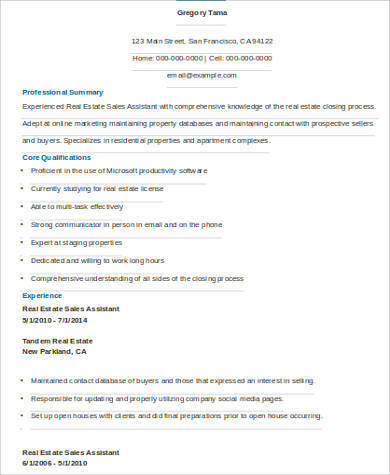 Good real estate agents should know matters on the space that they are to sell. Besides, one of the tasks a real estate agent does is to make what they are selling look appealing to the clients, so details matter. Clean and well-groomed. It is important for agents to look respectable, presentable, and professional; after all, they are selling spaces that can actually be somebody’s home. Good in communication. One of the things that you are ought to do is to talk clients into buying the property you are trying to sell to them. You should be good at speaking, someone who knows what the customers want and need. 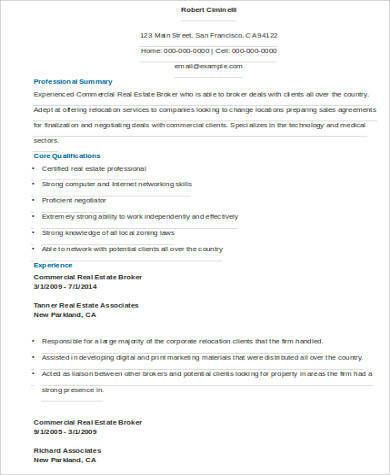 We actually have free Real Estate Resumes that you can check out for you to be more prepared on how you can land that real estate job. 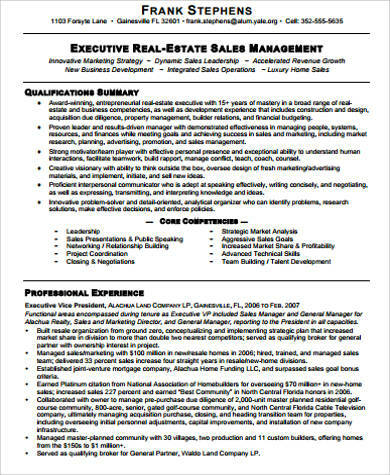 We also have Sales Representative Resumes in case you need them too! 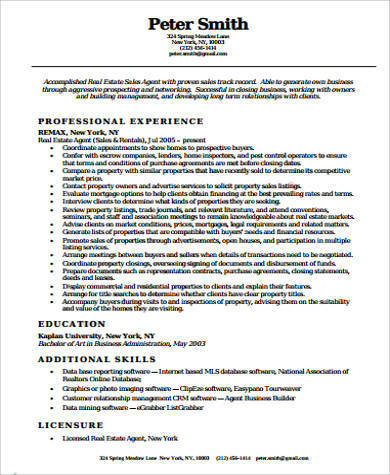 A resume is important because it serves as a detailed enumeration of your qualifications or the reasons why your prospective employer should consider you for the job. Knowing that your qualifications are out in writing, this should boost your confidence. You know for sure that you have the skills and the training that are perfect for you to land the job. Your employers will naturally ask you questions during the interview. 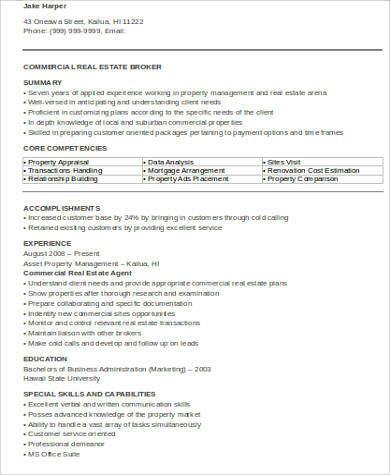 The basis of some of their questions are in the things you have written in your resume, therefore, you are already prepared. 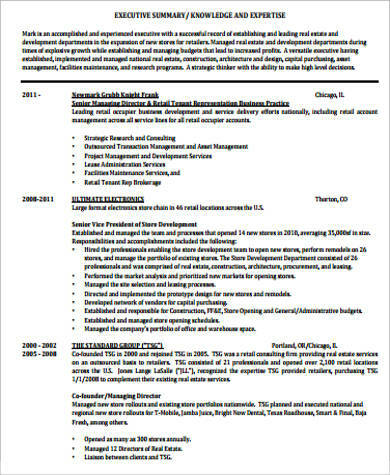 You may check out more of our Resume Templates, if you need more information. They are also for free!